August may be a ‘low’ season month in our calendar, but spirits are high at Anchor’s Rest. Anchor’s Rest has been awarded the TripAdvisor Certificate of Excellence for 2018. We’ve scooped up this prestigious accolade for five years in a row and, as a result, have been inducted into the TripAdvisor Hall of Fame for this achievement. We’d like to thank you, our incredible guests, who took the time to submit reviews using the TripAdvisor platform. The TripAdvisor Certificate of Excellence means so much to our team, because it is awarded to establishments who receive high praise on the platform, based entirely on guest reviews. Thanks to your exceptional reviews, we’re ever so pleased to have this vote of confidence bestowed upon our much-loved Umhlanga B&B. A global restaurant trend has risen to prominence in South Africa recently, with customers and establishments looking for new ways to eliminate waste, while being kinder to the earth and her inhabitants. Many restaurants are now doing away with plastic straws, and one of our favourite Umhlanga eateries, Angelo’s, has been doing just that. Our congratulations to Pierre for implementing paper straws, and setting a great example for others to follow, through The Last Straw campaign. Angelo’s: This family favourite in the village offers a set lunch menu, where you can enjoy a 3-course lunch for just R140 per person, including a complimentary glass of wine, Amstel, or Strongbow. Turn & Tender: You can lunch like a boss at this fabulous steakhouse! From Monday to Friday, from 11h30 to 16h30, enjoy a 200gram Sirloin with red pepper salsa sauce and a side of your choice for just R85. Hudson’s The Burger Joint: We love popping in for a big burger, and now that Hudson’s has added pizza to their menu, we’re excited to see how they tackle the best thing to come out of Italy! Check out this new menu addition from 12h00 to 16h00 every day and enjoy half-priced pizzas and calzoncinis! Our sunshine-kissed side of the world is blessed with many little surprises. One of our favourites is the Umhlanga Farmer’s Market. Open every Wednesday, from 08h00 to 12h00, it’s a treasure trove of fabulous fresh produce, preserves, pickles, and more. Skip the traditional grocery shop this week, and head to our favourite local market instead! Find out more here. While it’s chillier than we’re used to in Durban, it does mean life allows us a little more time to snuggle up and plan our next adventure! 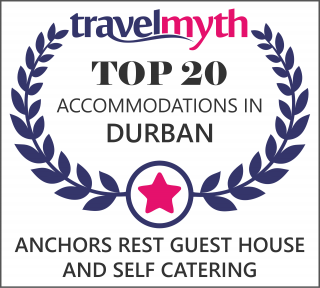 If you’re planning your next holiday in Durban, don’t wait to book! Planning your year-end vacation should start now, so pick your room at Anchor’s Rest and let’s get started! We love hearing from you and learning more about your Anchor’s Rest experience. If you’d like to drop us a line, you can email Cilla here. Alternatively, post a review and let the world know about your Anchor’s Rest adventures. 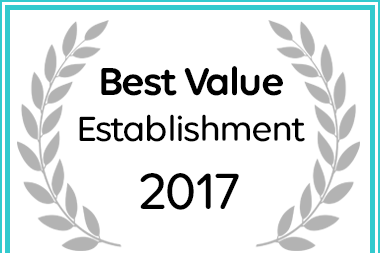 You’ll find our establishment listed on Trip Advisor, Trivago, and more!